Your photography is Outstanding! Well Done! I especially liked the top stingray shot and the chicken wings shot. The sharpness is incredible. You must have very steady hands! Crae to share some post processing secret? eg tweak saturation, sharpness ..etc? In Picassa? or? Dare I say it, but your photos are surpassing those of ieatishoot fame! 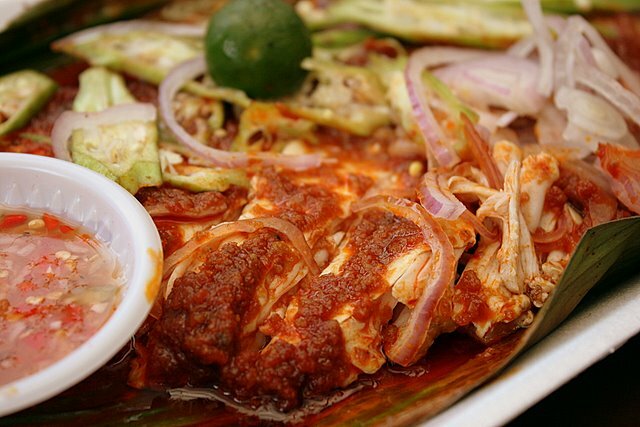 Your photos are making me crave for sambal stingray! And I haven't had it for quite some time. 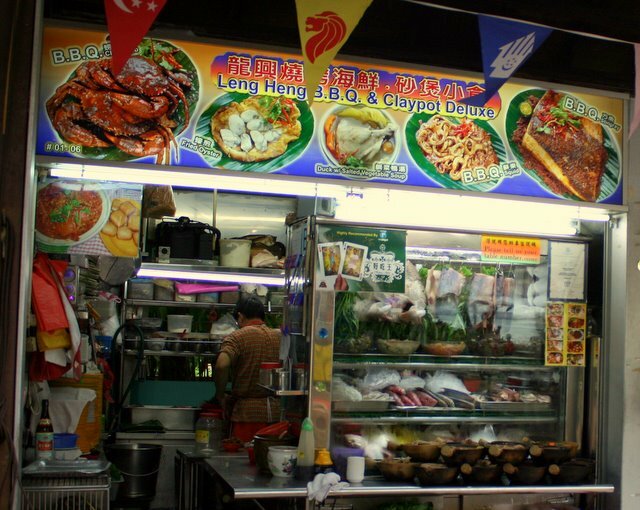 Oh I wish I can get some sambal stingray where I'm at right now. I don't even think I saw stingray at the asian supermarket hereabouts. I should give that stall a try next time I'm in town. eek! do i spot ladyfingers there? they shd not be on top of that stingray. i like the fact that this has onions on top. 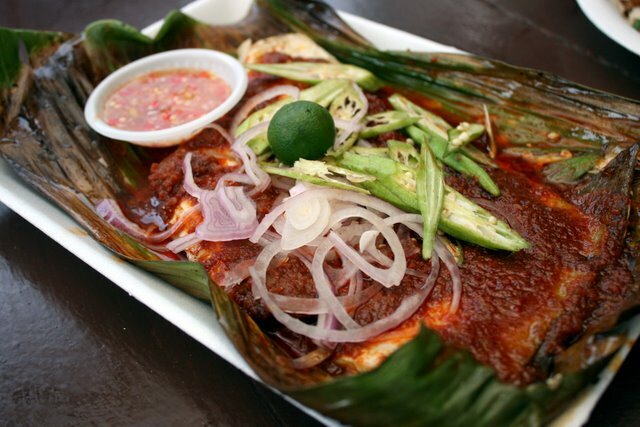 I'm also craving sambal stingray after looking at your photos! Mocha: I say, HK needs more spicy food! Kenny: oh budak Melaka! hehe, yeah, not everyone appreciates cincaluk but it is so shiok with lime and chili! Anonymous from Perth: such dazzling praise! I'd humbly attribute the sharpness to the in-lens Image Stabiliser - my own hands are not that steady - am still learning how to handle the DSLR. Yes, I do use Picasa to organise photos, and fine-tune stuff like contrast and white-balance (which I'm quite hopeless at setting on the camera). Don't really fancy the colour saturation feature though - makes things look unnaturally garish. Bentoist: ah, there are many, many stalls in Singapore offering this dish, so you should be able to sample some, even if you're not near this joint. Daphne: ah I'm sorry, I didn't mean 100 over claypots stacked, just that they offer over 100 other dishes. Have reworded passage for better clarity! ah Teo: oh yes, ladyfingers (or okra, as mentioned above) - I thought they didn't belong, especially raw ones. But they didn't taste as bad as I feared they would. nice, i love BBQ stingrays, just had one a while ago too. holy smokes! that looks like one amazing stingray. thanks for posting i shall go check it out now that i'm in the country. awesome stuff. PLEASE TRY the chilli crab and the buns!! IT'S FREAKING Finger-Licking GOOD... yummy slurp slurp. and it's cheap, $38 for 2crabs, $5 for the plate of buns.